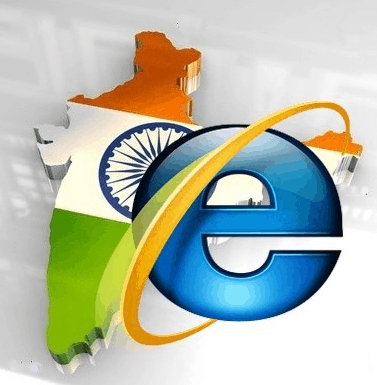 A recent report released by Akamai Technologies on the state of the internet revealed a lot about how significantly broadband adoption rate has improved in India in past few years. As per the report, broadband adoption rate in India has increased to over 5 times more than what it was in the year 2012 and 10 times more than that in the year 2011. So, in total, in just three years, the broadband adoption rate has more than tripppled. Moreover, the announcement by Department of Telecom in June to finalize a National Broadband Policy within 100 days will further accelerate the situation, as expected. The report also informs that India spots the 5th position when it comes to the attack traffic originating by IP source and as far as the current connection speed of India is concerned it is 2.0 Mbps. The most remarkable point is that four countries were seen with the lowest levels of adoption if we talk about the largest year-over-year transformation in broadband adoption rates across the surveyed Asia Pacific countries/regions. The group was led by Vietnam with a growth rate of 722% year-over-year, Indonesia and the Philippines followed the trend by making a contribution of more than 200% over the past year, after which comes India that saw a 179% increase. From the first to the second quarter of 2014, there was double-digit percentage increases in eight of the top 10 countries/regions. However, at the same time, there was only a 4% quarterly increase for South Korea that although kept its first place average connection speed (24.6 Mbps). Remarkable 18% quarterly growth for Hong Kong (15.7 Mbps) made it outrival Japan, which now has the same average connection speed as that of Switzerland i.e. 14.9 Mbps. As per the report, the year-over-year increases in average connection speeds of four countries among the top ten are more than 50% however South Korea leads the chart with an annual rise of 84%. Besides, there were other 136 qualifying countries/regions that exhibited yearly increases, from 197% in Uruguay (5.6 Mbps) to 1.2% in the United Arab Emirates (4.6 Mbps). Talking about the global average peak connection speed, there was a significant uptick in it as well with a 20% increase to 25.4 Mbps from the first quarter to the second quarter of 2014. There was a significant improvement from the first quarter of 2014 as when 92 qualifying countries/regions saw quarterly decreases in their average peak connection speeds, ranging from 2.3% in Iraq (30.4 Mbps) to 65% in Jersey (43.2 Mbps) all but one of the 139 qualifying countries/regions experienced average peak connection speed increases this quarter. There was an increase of 34% in the global average peak connection speed, year over year. Altogether, there were 125 countries/regions that experienced increases over the year, starting from0.1% in Lebanon (4.2 Mbps) to 225% in Uruguay (49.7 Mbps). Talking about the inclusion in mobile section, there were 56 countries/regions that met the criteria in the Second Quarter, 2014 State of the Internet Report. Again, South Korea maintained its top position by exhibiting an increase in average mobile connection speed from 14.7 Mbps to 15.2 Mbps however, Vietnam at the same time hit a global low of 0.9 Mbps. Average peak mobile connection speeds among qualifying countries/regions varied from 108 Mbps in Australia down to 4.7 Mbps in Vietnam.